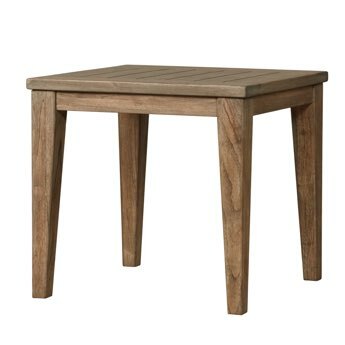 Teak End table from the Lloyd Flanders Wildwood Teak Collection in exclusive heather gray finish. Teak is the perfect wood for outdoor furniture because it has the natural ability to resist weather conditions and decay. Strong durable teak wood furniture has better natural weather-resistant properties than other woods because of its ability to retain natural oils and rubber within its cells. These oils and rubber help protect it from the weather and protect it from decomposing. Teak tables can be used with a wide range of furniture. In addition to the Wildwood Collection, you can use teak tables and chairs with any loom wicker or vinyl wicker collection. Teak furniture has been used for hundreds of years by royals. The unique heather gray finish provides an elegant look that fits with most outdoor casual furniture. 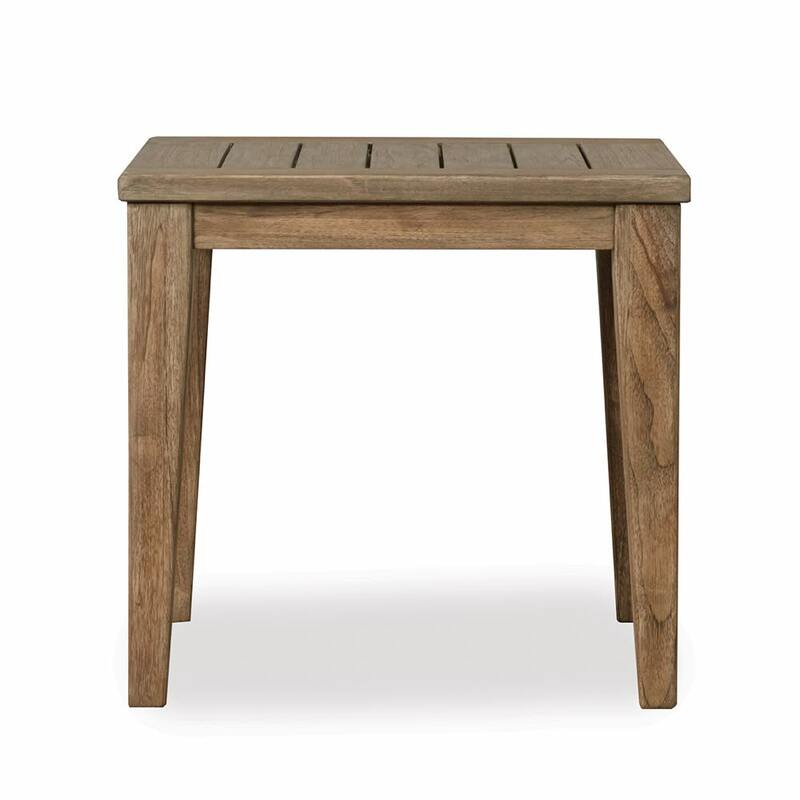 The Lloyd Flanders Wildwood Teak tables are available in heather gray.